Edit [16/9/13]: Added additional findings to the “pro” section of this article. Edit [1/8/13]: Added plenty of new samples, both JPEG and RAW (Lightroom & Silkypix) to the Flickr set. Updated Pro/Con comparison with X-E1. Edit [30/6/13]: Added several SOOC JPEG portrait samples taken with the X-M1 and the two new lenses to the Flickr set. 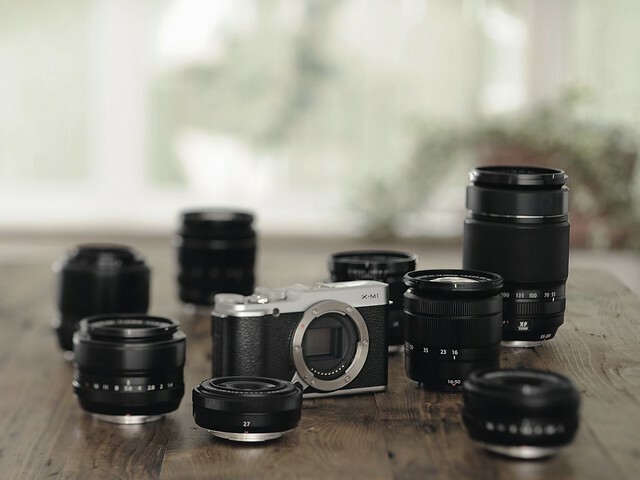 Fujifilm’s new X-M1 mid-range system camera is targeting users and fans of premium compact cameras (like the Sony RX100 or Fujifilm X10, X20 and XF1) as well as users of entry-level DSLR cameras who do not want to compromise on image quality, but prefer a small, lightweight and still affordable package. It’s important to recognize that the X-M1 was at least as much inspired by the Fujifilm X20 and XF1 as was by its older and more expensive system camera sibling, the X-E1. In other words: This is as much a smaller X-E1 as it is an APS-C sensor sized system camera version of the XF1 or X20. Believe it or not, but the X10/X20 is actually a little bit larger than the body of the X-M1. 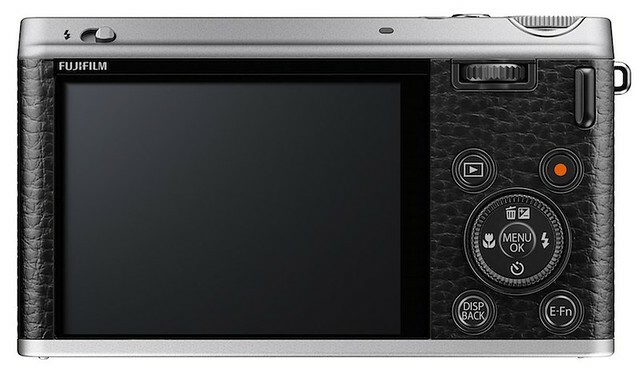 This turns the X-M1 into kind of a hybrid system: It features the mode dial, scene modes, additional AF modes (including face recognition and pattern tracking), an additional OIS mode and the “art filters” of Fuji’s premium compact and bridge cameras. At the same time, it records images with the same 16 MP APS-C X-Trans sensor found in the larger and more expensive X-Pro1 or X-E1. In terms of image processing, the tiny X-M1 even surpasses its bigger siblings with the faster EXR Processor II engine already known from the X100S and X20, with conventional 12 Bit RAW image recording. 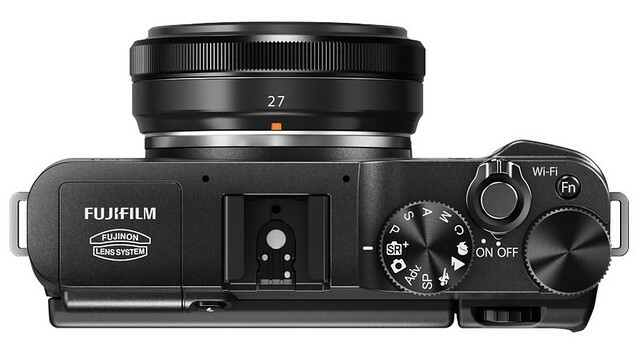 This turns the X-M1 into a pretty responsive camera (at least in Fuji terms). A 95 MB/s SD card (such as a SanDisk Extreme Pro) certainly pays-off when used in concert with this camera. It takes the X-M1 just about 2 seconds to copy 3 FINE+RAW images from its internal buffer to the card. With its modest burst rate of 5.6 frames per second, this means that the camera can shoot 13 frames in a row at full speed, even though the buffer is just large enough to hold 10 FINE+RAW images at any given time. Along with the new camera, Fujifilm introduced two new lenses: a small and affordable 16-50mm image stabilized kit zoom (XC16-50mmF3.5-5.6 OIS) and a really tiny 27mm pancake lens (XF27mmF2.8). While both new lenses are fully compatible with all current and future X-Mount cameras, it’s quite obvious that Fujifilm has specifically geared them towards the X-M1. On the outside, the camera and the new kit zoom are made of plastic in order to preserve weight and to reduce manufacturing costs. 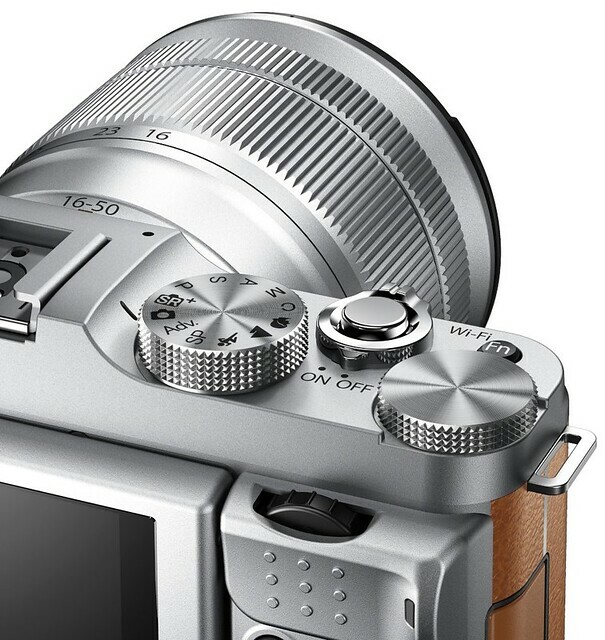 Unlike previous X camera offerings, the X-M1 is “Made in Thailand”, while the two new lenses are “Made in China”. The new kit zoom and the 27mm pancake lens also feature plastic barrels, but the pancake lens offers a metal mount and metal focus ring. On the kit zoom, the mount as well as the zoom and focus rings are made from plastic, too. This “material difference” is also mirrored by the XC vs. XF naming of the lenses: According to Fuji, the C stands for “Compact” or “Casual”, while the F is now supposed to stand for “Fine” or “Faith”, Nope, I’m not making this up. By the way, the M in X-M1 stands for “Mini” and “Mobility”. Don’t be fooled by the lightweight outer material: Inside both lenses, all elements are made of glass. The new kit zoom contains 12 elements in 10 groups with 3 aspherical elements and 1 ED element, and the pancake contains 7 elements in 5 groups with 1 aspherical element. While the new kit zoom comes with a hood that’s very similar to the one included with the more expensive and older XF18-55mmF2.8-4 R LM OIS kit zoom lens, the pancake doesn’t even have a lens hood mount. Fuji claims a hood isn’t really necessary due to the new HT-EBC (High-Transmittance EBC) Wide Band Coating technology that had its X series debut in the tiny (and also hoodless) XF1 compact camera. While Fuji’s traditional Super EBC Coating works with wavelengths between 400 and 700nm, the new Wide Band Coating works with a broader range of 380 to 780nm, and that (according to Fuji) helps further reduce lens flare. Without a lens hood, it may be advisable to protect the pancake lens with a neural 39mm protective screw-in filter (available from Fujifilm and third-party vendors). Despite the use of lightweight materials and not offering an electronic viewfinder, the X-M1 (which is available in three different color schemes) feels sturdy and weighs only 20 grams less than the X-E1: Including battery (the same NP-W126 type as in the X-Pro1 and X-E1) and SD card, it clocks in at 330 vs. 350 grams. To compensate for the missing EVF, the X-M1 offers a larger 3″ LCD with a native 3:2 aspect ratio and 920k dots—twice as many as the rear display of the X-E1. The display is tiltable, which is useful for overhead shots or pictures taken from the hip or close to ground-level. In order to minimize their size (and also to reduce manufacturing costs), the two new lenses do not offer integrated aperture rings. Instead, the aperture is set inside the camera using one of the X-M1’s two command dials, both of which can be conveniently operated with the thumb. This (plus the tiny size and little weight of the pancake lens) makes the combo suitable for one-handed operation. Using the new kit zoom and pancake lenses with an X-Pro1 or X-E1 (with current firmware) is quite easy: Just like in the X-M1, the aperture is set with the camera’s command dial. 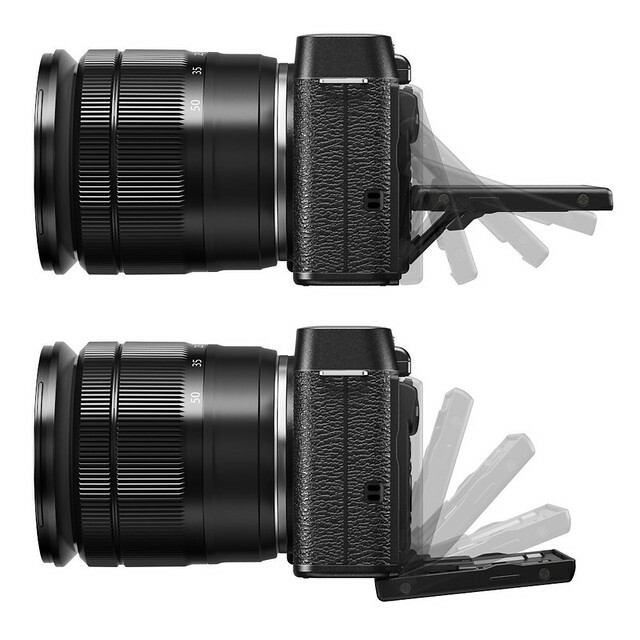 The optical hybrid viewfinder of the X-Pro1 supports both lenses, too. However, you won’t be able to see a bright-frame between 16 and 18mm focal lengths. 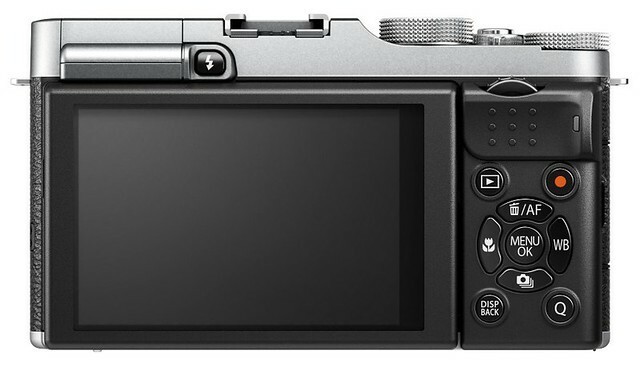 Instead, the X-Pro1 will display yellow arrows in the corners of its optical viewfinder. Using conventional XF lenses with an aperture ring on the X-M1 is not a problem, either: In aperture priority and manual shooting modes, you can use either the ring on the lens or the camera’s command dial to set the aperture, with the setting on the lens always taking priority. Once the ring is set to “A”, the lens yields aperture control to the camera and its command dial. There seems to be a lot of controversy regarding Fuji’s choice to add a mode dial, remove the shutter speed dial, and to replace the exposure compensation dial with a second multifunctional command dial. You won’t really miss the exposure compensation dial, though, as the similarly shaped upper command dial will perform this very function in shooting modes P, A and S.
It’s not uncommon for “consumer grade” cameras to offer more assistance tools and functions than their higher-priced “enthusiast grade” or “professional grade” counterparts, and Fujifilm is no exception to this rule. However, Fuji took the unusual route of starting out with the top-end model X-Pro1, followed by the enthusiast-orientated X-E1, and now the X-M1 as a miniaturized mid-range model.With this course of history, it’s not too difficult to imagine a very competitively priced entry-level APS-C system camera below the X-M1 as Fujifilm’s next step. In addition to several automatic and scene modes, the X-M1 also offers two additional autofocus modes that aren’t included in the X-E1 and X-Pro1: AF tracking and Face Recognition. For users of the XF1, X10, X20 or X-S1, these modes will be familiar: While Face Recognition is self-explanatory, AF tracking relies on pattern recognition to keep the focus frame trained on a certain subject (while it moves through the frame or while you move the camera to reframe a shot). 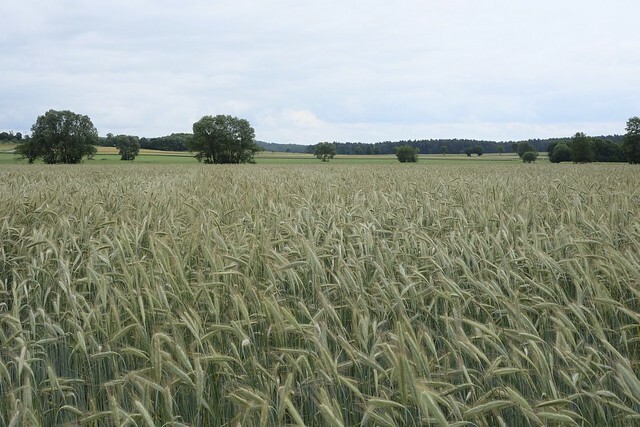 This AF tracking mode is not to be confused with predictive 3D object tracking, which requires a phase-detection autofocus (PDAF) system. 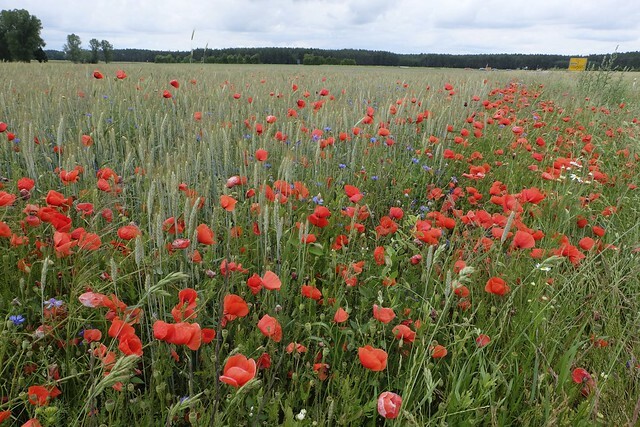 While predictive PDAF is continuously adjusting the actual focus to a moving subject, Fuji’s AF tracking is simply following a subject with its AF frame—without actually focussing on it until you press the shutter button halfway through. 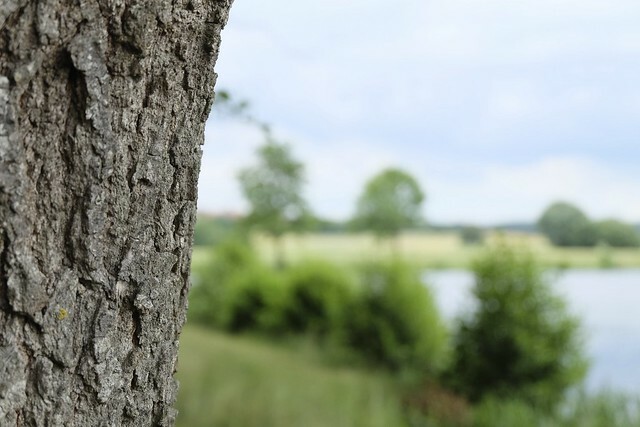 Once you half-press the shutter button, focus is acquired once and tracking stops. AF tracking is just another variant of the good old AF-S single-shot mode, with the added convenience that you do not have to manually select and move an AF frame over your subject. The camera will take care of that for you. The X-M1 features the same convenient Auto-ISO implementation as in the X20 and X100S, meaning you can set upper and lower ISO limits and a minimum shutter speed. Yay! Like the X100S, the camera also offers a WYSIWYG preview in manual mode: Once you half-press the shutter, the LCD screen shows a preview image whose brightness reflects the actual aperture and shutter speed settings. 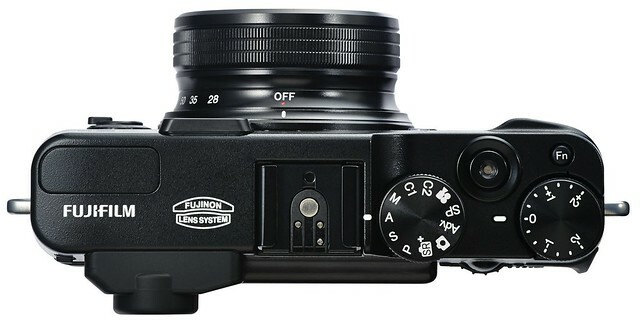 Although these features have been high on the wish lists of users of the X-Pro1 and X-E1, it doesn’t look like Fuji will include them in July’s upcoming version 3.00/2.00 firmware upgrade for these cameras. 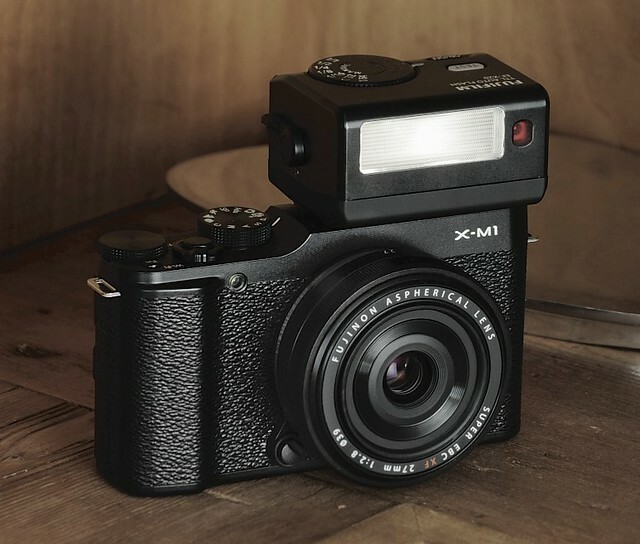 The X-M1 also offers an additional shutter speed adjustment option in conjunction with lenses that have built-in optical image stabilizers: With the OIS Motion option enabled (either CONTINUOUS+MOTION or SHOOTING+MOTION), the X-M1 will automatically detect moving subjects and increase the shutter speed accordingly by 1 or 2 stops, as long as Auto-ISO is active and the camera is operating in shooting mode A or in one of the fully automatic modes. Once again, none of this is news for users of established Fujifilm compact cameras. 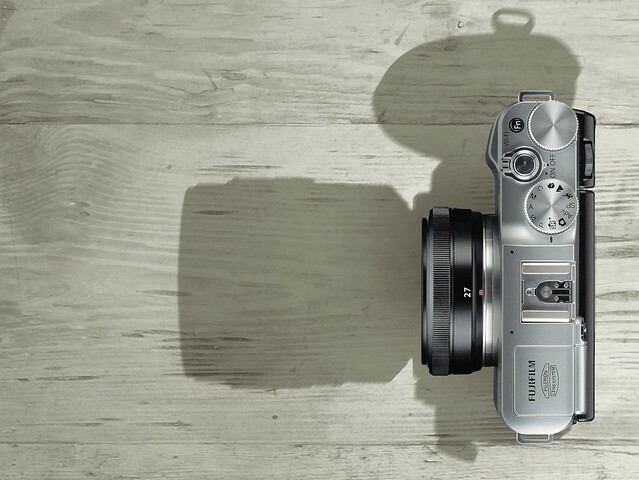 One of the X-M1’s most pleasing qualities is its speed and responsiveness to user input. 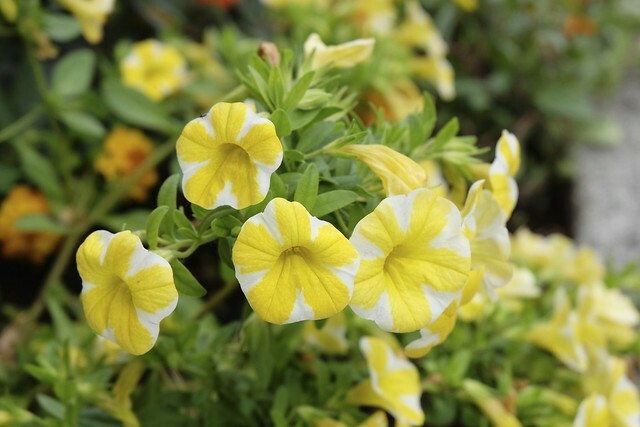 For example, users of the X-E1 and X-Pro1 can’t turn on the manual focus magnifier tool as long as the camera is writing image data to the SD card. The X-M1 not only writes files faster, it also allows to engage the magnifier tool while it’s still writing data to the card. That said, the X-M1 offers only one magnification level (in the 5x range), not the choice of either a 3x or 10x magnification found in the X-Pro1 and X-E1. On the bright side, the X-M1 already features the focus peaking options of the X20 and X100S that Fuji will also bring to the X-Pro1 and X-E1 in July’s major firmware update. 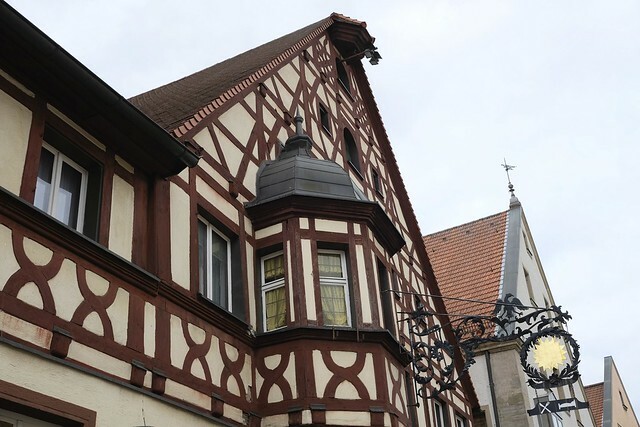 Sadly, there are several more omissions: For example, the X-M1 lacks Fujifilm’s trademark Motion Panorama mode, and—quite inexcusably—doesn’t offer an electronic level gauge. Wait, there’s more: The camera has no input for external microphones (and hence also no input for a Canon-compatible remote shutter release) and no mechanical cable release thread. The only way to remotely control the camera is through the USB port with a so-called RR-90 unit. 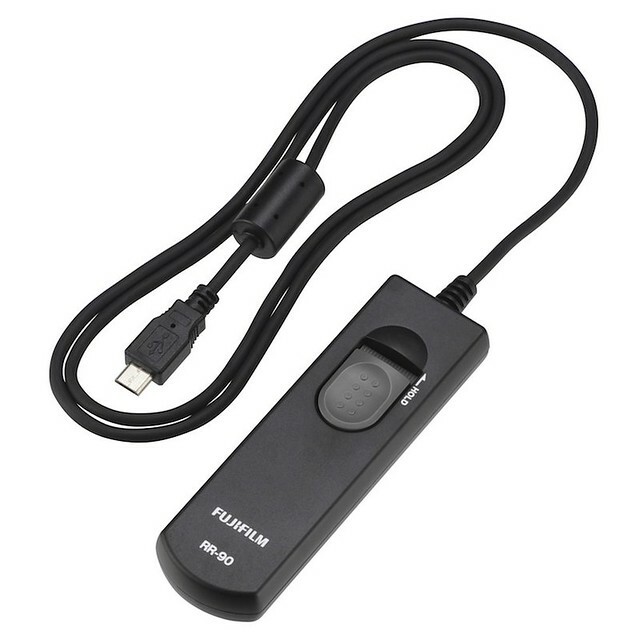 Unfortunately, RR-90 is not immediately compatible with Fujifilm’s long-established RR-80 standard, as it uses a Micro-USB B connector instead of the Mini-USB connector of previous camera models with RR-80 sockets. I ordered a Mini-to-Micro-USB adapter on order to find out whether RR-80 compatibility can be regained this way. Unfortunately, I couldn’t get it to work with my original Fujifilm RR-80 remote release, even though the USB adapter enabled me to establish a normal connection between the camera and my Mac. This means that until Fuji or a third party offers a specific RR-80 to RR-90 adapter, remote shutter control of the X-M1 is limited to Fujifilm’s original (and as of now not yet available) RR-90 electronic shutter release cable. There’s no USB cable included with the camera, so you’ll have to get (buy) one yourself or use either a SD card reader or the built-in Wifi function to transfer images from the camera to your computer, tablet (iPad) or smartphone. 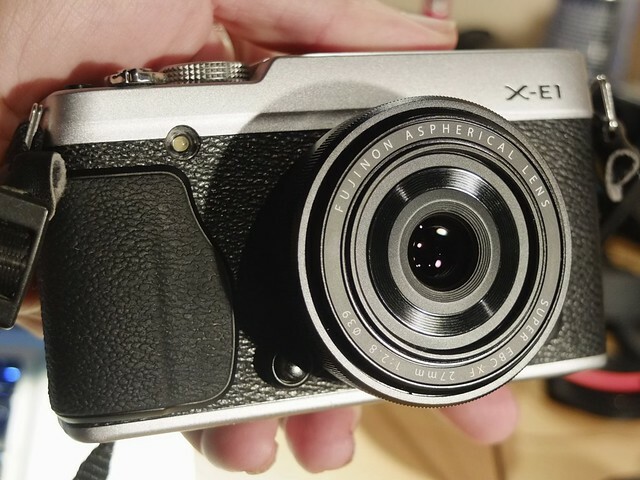 The X-M1 also lacks an AE-L/AF-L button. Instead, this function can be assigned to the camera’s single (and hence besieged) Fn button. With the omission of the AE-L/AF-L button, there’s also no Instant Focus (One-Touch AF) button available in manual focus (MF) mode. Again, One-Touch AF can also be assigned to the single Fn button, but all this is not very convenient, because One-Touch AF and AE-L/AF-L (even though they are mutually exclusive in MF and AF modes) are actually treated as two different Fn button assignments. The XF1 is handling the issue in a smarter way: While it also lacks an AE-L/AF-L button, it simply uses the Macro button for Instant Focus in MF mode. This is smart because the Macro button has no use in MF mode, anyway. But not the X-M1: For whatever reason, that camera still allows you to switch to Macro mode in manual focus instead of simply recruiting the Macro button for One-Touch AF. To add insult to injury, the X-M1 offers a dedicated video recording button that can not be reassigned as a second Fn button. Sure, video aficionados will appreciate this dedicated button and the improved choice of focussing options that is now available in video mode: manual focus (during recording), automatic central field focussing (right before the recording starts) and continuous AF during recording. On the other hand, the maximum continuous recording time is only half of what the X-Pro1 and X-E1 can offer: a meager 14 minutes in full HD. 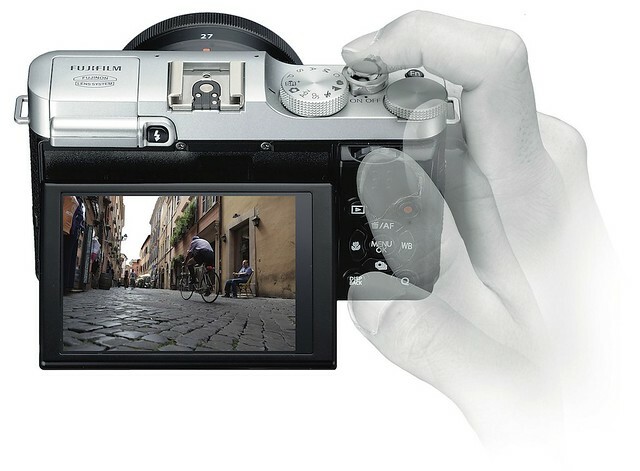 Unlike the X10, X20, XF1 and X-S1, the X-M1 only features one (1) user defined custom mode. There’s also a deliberate waste of valuable real estate on the mode dial with 3 dedicated, hard-wired scene modes that could just as well be included in the SP menu (along with all the other scene modes). So instead of offering 4 invaluable custom modes that could have found a useful home on the camera’s new mode dial, the X-M1 offers only a single one. It’s important to note that this custom mode is once again a replica of the X10, X20, XF1 and X-S1 and hence different from the custom settings offered by the X-E1, X-Pro1, X100 and X100S. The X-M1’s custom mode stores not just ISO, dynamic range, white balance and JPEG settings, but the entire camera settings, including AF mode, exposure compensation settings, aperture and shutter speed settings, shooting mode, image size/quality/format, drive mode, exposure measurement (photometry) mode, display settings, flash mode/compensation and more. Speaking of flash, the X-M1 includes Fuji’s trademark Super Intelligent Flash which promises exceptional automatic balance between artificial flash and natural background light. The built-in flash is very similar to the one found in the X-E1, with a guide number of 7 (meters) at base ISO 200. The camera’s hot shoe accepts the usual external flash units from Fujifilm (TTL flash) and third-party vendors (manual flash only). Sadly, it doesn’t accept an optional external electronic viewfinder. 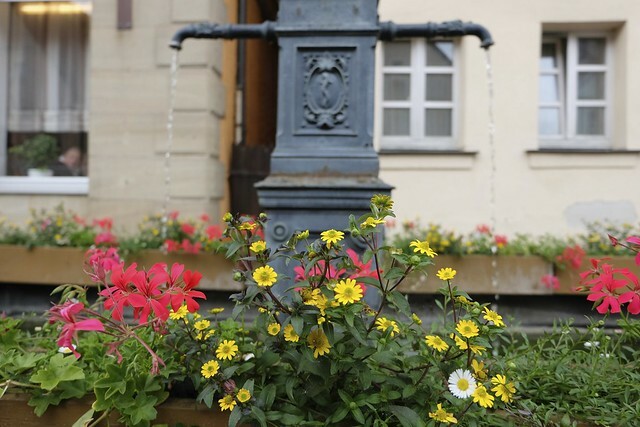 Bizarrely, it is not possible to manually select the official maximum flash synchronization shutter speed of 1/180s in shutter priority or manual mode. One has to settle with either 1/160s or 1/200s. Another unfortunate omission is the lack of “Pro Neg.” film simulations and filtered black&white film modes. The X-M1 only offers Provia, Astia, Velvia, Monochrome and Sepia. Like the X100S (and unlike the X-Pro1 and X-E1), the X-M1’s double exposure feature doesn’t store RAW files of the final results, and in playback mode, information pages showing additional shooting parameters, EXIF data and the focus point position are no longer available. There’s also no mechanical focus mode switch. Instead, the focus mode selection is now part of a slightly redesigned Quick Menu that strongly resembles that of the X20 and also offers OIS mode selection. The latter is important as the new 16-50mm kit zoom lens doesn’t feature a dedicated OIS on/off switch. Fuji removed the Kelvin option from the white balance menu (in shooting mode and in the internal RAW converter). Custom white balance is still available, though, and contrary to what is stated in the owner’s manual, is also appears to be working in flash mode. Similar to the X20, there’s no more AdobeRGB color space available, so the JPEG engine always operates in the sRGB color space. That said, as long as you can live without an electronic viewfinder, shooting with the X-M1 is a joy. It’s fast, it’s small, and the results look just as good as pictures taken with the X-Pro1 or X-E1. I have already uploaded 30 sample images to this Flickr set. These images are JPEGs straight out of the camera with no further processing. Please note that I was using the same pre-production camera with pre-production lenses that this article is based on, meaning it’s too early for pixel peeping. We’ll have to wait for production units with the final firmware. 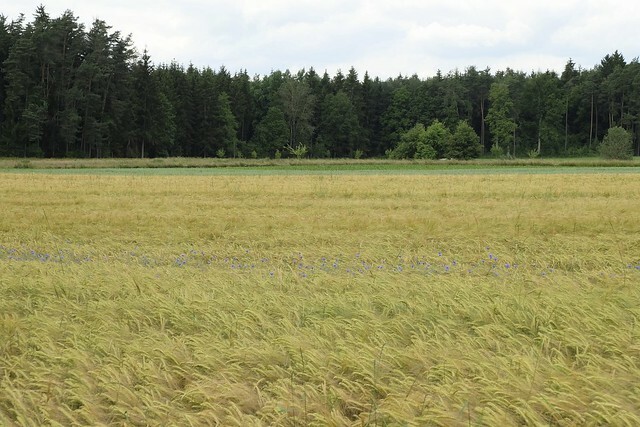 I will add more sample images in the coming days and weeks, so come back and check-in between now and then. Fujifilm promises a gain of 3 stops when using the OIS of the new kit zoom lens. In my experience, this is pretty realistic: On my X-M1, I could shoot crisp images with 1/6s at 50mm (that’s a 75mm full-frame equivalent) and with 0.65s (yep, 2/3 of a second) at 16mm (24mm full-frame equivalent). Remember, that’s without properly holding the camera to my eye due to the lack of a viewfinder. In order to assess the amount of digital distortion correction that is applied with both lenses, I shot some samples with a X-E1 and processed the RAW files in Capture One Pro 7.1.3, as this RAW converter offers full control over the application of in-file lens correction metadata. The 16-50mm kit zoom starts with significant barrel distortion at the short 16mm end that will gradually improve until no digital distortion correction at all is applied at the long 50mm end. In contrast, the more expensive 18-55mm kit zoom starts with less pronounced barrel distortion at the short end, which changes into pincushion distortion at the long end of the zoom range. For a pancake of its size, the XF27mmF2.8 needs surprisingly little digital barrel distortion correction. It pretty much only affects the edges and is less pronounced than with the XF18mmF2 R.
Both lenses aready include the improved autofocus algorithm that Fujifilm plans to extend to its legacy XF lenses on July 23rd. To me, AF feels snappy, enough so that I don’t have to think about it, which I guess is a good thing. It just works for me. Let’s see how snappy Fuji’s legacy lenses become after the already announced July firmware upgrade. The AF step motor in the 16-50mm kit zoom has to move only a single focus element, and it operates almost as quietly as the linear motor of the more expensive 18-55mm zoom. The 17mm pancake features a stronger and a little bit louder DC motor, as it has to move 5 elements. In playback mode, it allows the transfer of JPEGs from the camera to an Android or iOS device (smartphone, tablet), or of JPEGs and RAWs to a Mac or PC. In shooting mode, it’s possible to copy current GPS location data from a smartphone or tablet to the camera. 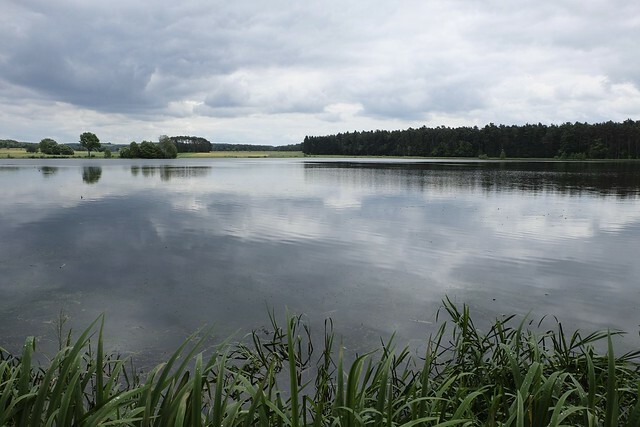 The camera will then write this location information into the EXIF metadata of newly taken shots for a maximum of 3 hours (or until you update the location data by reconnecting with your portable device). In my opinion, this is a great opportunity lost. Fujifilm should up their game in this regard and update the wireless firmware and software to provide the features many actual photographers are looking for. While I understand that the X-M1 is geared towards less sophisticated users who are looking for an attractive and capable upgrade/sidegrade from a compact camera or DSLR, it’s clear from reading forums and comments that many advanced users are thinking about purchasing either an X-E1 or X-M1. After all, the difference in weight is only 20 grams. 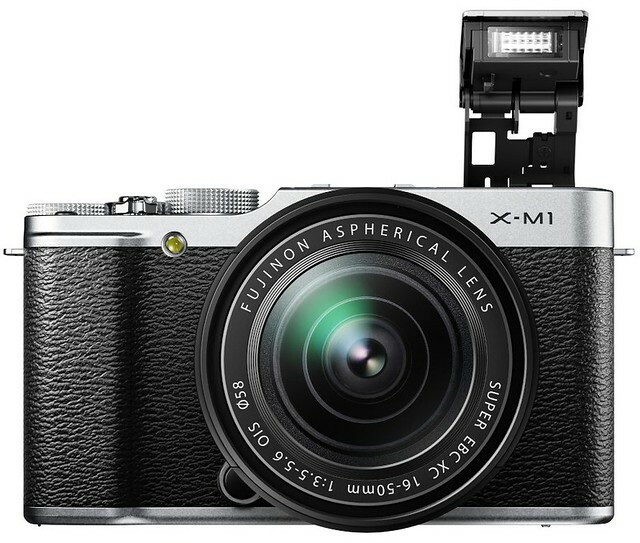 Other users are thinking about getting an X-M1 as an addition to their already existing X-Pro1 or X-E1. new RR-90 electronic shutter release is not compatible with existing RR-80 gear (a third-party adapter may help, though). It’s important to note that any omission of a dedicated mechanical switch/button for a specific setting (which may be perceived as a con) also means that this setting can now be stored in the X-M1’s user defined custom mode (which is certainly a pro). As you can see, the pro and con lists are of roughly equal size and rather balanced. As usual, the devil’s in the details, so it pays off to have a closer look. Many people seem to think of the X-M1 as an X-E1 without an EVF. It’s not. Looking at the list of features and omissions, it quickly turns out that the X-M1 is a different camera geared at a different core audience. “Different” doesn’t mean “better” or “worse”. It simply means that while both cameras offer the same outstanding image quality, there are several operational and feature differences that should be considered before deciding for one or the other. In the right hands, both cameras are equally capable, usable and photographer-friendly. They are just targeting different kinds of photographers. 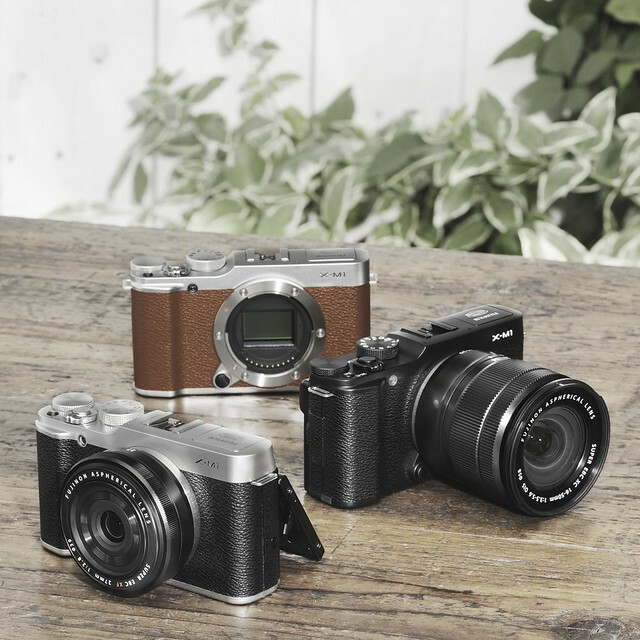 The X-M1 is Fujifilm’s attempt to bring the X system to a broader audience, with a modern interface and standard mode dial, twin electronic control dials and no eye level viewfinder. For its tiny size (and affordable kit pricing), it offers a plethora of features and options that other manufactures wouldn’t dream of including in such a small camera. That said, there is room for improvement. Luckily, many omissions can (and probably will) be fixed with firmware updates. For example, it shouldn’t be a problem to include a shutter speed of 1/180s when using the flash, to turn the recording button into a second Fn button, or to use the Macro button for One-Touch AF in manual focus mode. 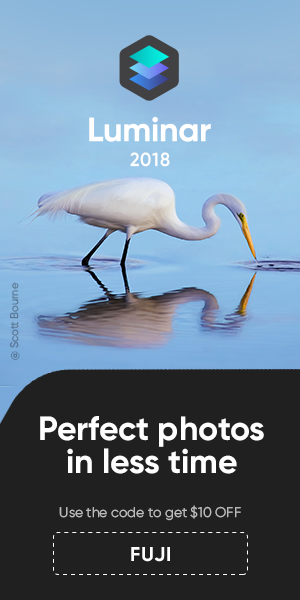 Most importantly, the X-M1 is fun to use, and with it’s spectacular JPEG engine, even less sophisticated users will immediately get great results straight out of the camera—no post-processing necessary.